Take a look at the Joom website to see the cute products this Cape Town-based design studio keeps coming up with. The Springbuck rocking-... um.. horse? 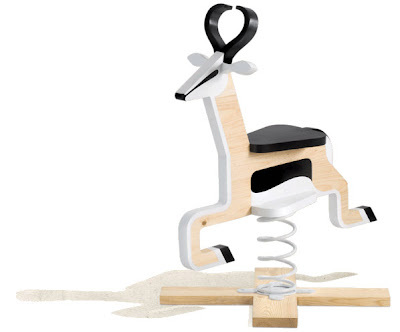 hit the headlines lately, thanks to its appearance in Dwell magazine, and that's probably why this limited edition ride-on toy has sadly sold out. 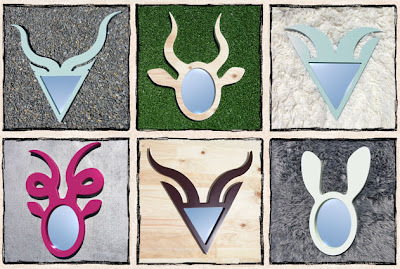 I love these fun Animirrors, sure to bring out your inner animal. Grr! I know Joom has showed their wares at the Design Indaba Expo in years gone by, and hope we'll see them there again at the weekend.